Ajax will be embarking on their first Champions League group stage campaign for the first time since the 2014/15 season. AEK, though, last competed in Europe’s elite competition way back in the 2006/07 campaign. On paper, it doesn’t bode well for the visitors, who have lost in all five of their previous trips to the Netherlands. In fact, it was Ajax who beat AEK both home and away in the 1994/95 group stages. In Amsterdam, I give the visitors very little chance of getting something here. Back the home win and include in all multiples. Benfica kick-start their Champions League campaign with a tricky test at home to German champions, Bayern Munich. This will be Niko Kovac’s first UEFA fixture as Bavarian boss, and he will be hoping to start it in the same manner in which he started off his Bundesliga reign as Bayern manager. Despite not losing in six games against Benfica, by no means will this be a walk in the park for Kovac and his side. All three home games against Bayern have ended in draws, so the Eagles will head into this encounter with some hope. Despite all the stars on show for Bayern, I’m backing Benfica to earn a share of the spoils in Lisbon. Hoffenheim will be making their Champions League debut this Wednesday evening when they meet Shakhtar Donetsk for the first time in an UEFA competition. Shakhtar have won their last four home fixtures in the Champions League, although they have drawn their last five against German opposition. The hosts went into the international break off the back of four consecutive wins. Ukraine will be a tough place to travel for any visiting team and I’m expecting Hoffenheim to struggle here. Take the home win here at 21/20. After a one-year absence, Lyon make their return to the big time with an almost impossible task to come out unscathed at the Etihad Stadium when they face Manchester City. This will be the first meeting in UEFA competitions for these two sides, although City have lost just one in five matches against French opposition in European tournaments. After an emphatic title win for Pep Guardiola last season, you get the feeling that the Spanish tactician could be prioritising the Champions League this time around. City are unbeaten in their last eight home games in the Champions League group stages, winning seven times. Backing the English champions on the (-1) Handicap at 9/20 could prove to be easy money made – get on! Viktoria Plzen’s impressive home record will be put to the test when they face CSKA Moscow in the Czech Republic. Plzen have won their last six UEFA home games, while they also managed to beat CSKA 2-1 back in the 2013/14 Champions League group stages. These sides only met each other twice in UEFA competitions, with both teams winning their respective home game. CSKA have started their season off brightly, although a test in Plzen might be too difficult to overcome. Take the home win here at 31/20. Julen Lopetegui’s first Champions League match as Real Madrid boss comes as a tricky one, when the Santiago Bernebeu will play host to their clash against Roma. 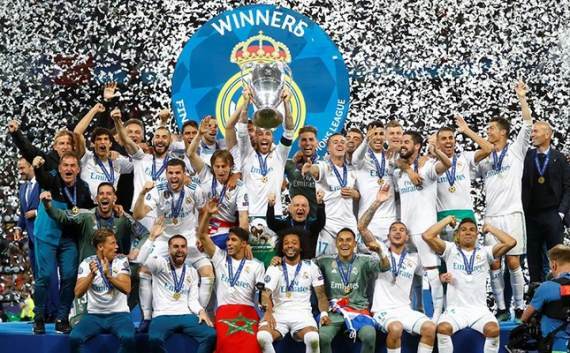 Los Blancos will be hoping to achieve the unthinkable, claiming their fourth consecutive Champions League triumph. They will have to do so without Cristiano Ronaldo, who moved to Juventus before the season started. Roma made it to the semi-finals of the tournament last season, and with this being the trickiest task in the group, they will be hoping to come out unscathed. I simply cannot see that happening. Back Madrid here at 4/10! Young Boys will make their Champions League group stage debut when they host English giants, Manchester United in Berne on Wednesday night. This will be the first meeting in UEFA competitions between the two sides, although United have lost their last two UEFA encounters in Switzerland. At the time of writing, Young Boys have won all seven of their Super League encounters, while there has been loads of uncertainty surrounding the Red Devils this term. Although Jose Mourinho hasn’t got his backline sorted out for the season, the likes of Alexis Sanchez, Romelu Lukaku and Paul Pogba should do enough to guide their team to victory. Back the away win here. We close proceedings with what could be a humdinger clash between Valencia and Juventus, who will be meeting for the first time in an UEFA competition. The Old Lady were dumped out of the Champions League last season through a moment of magic by Cristiano Ronaldo, who has since been snapped up by the Italian giants. Valencia started their campaign off in dire fashion, heading into the break winless in the league. Juve have won their last three away games in the Champions League, and with the likes of Ronaldo and co at their disposal, they should head back to Italy with all three points. Get on the away win here at 17/20.